Epifania Laya, 79, passed away at 8:55 p.m. on July 21, 2018 at Memorial Medical Center in Springfield, IL surrounded by her loving family. 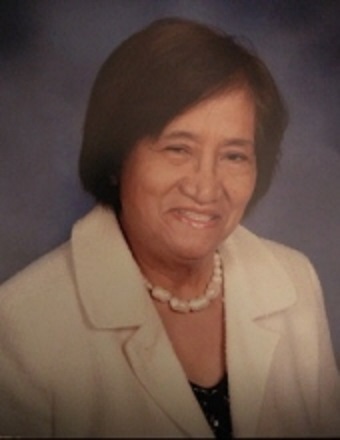 Epifania was born on July 12, 1939 in Ilocos Norte, Philippines; daughter of Alejo and Nicolasa (Ralar) Fader. She married Crispin Laya on January 23, 1961 in Manila, Philippines. He survives her. Also surviving Epifania are her children: Maria Laya of Lincoln, Ferdinand (Lorna) Laya of St. Peters, MO, Bernard Laya of Manila, Philippines, and Crispin Laya Jr. of Lincoln, IL; one brother: Amonio Fader; one sister: Pat Dancil; four grandchildren: Kristina, Robin, Joshua Laya, and Lei Gilford. She was preceded in death by her parents and her older brother Ben. Epifania was a member of Holy Family Catholic Church. Visitation for Epifania will be from 3:00-7:00 p.m. Wednesday July 25, 2018 at Holy Family Catholic church followed by a rosary service at 7:00 p.m. Funeral services will be 10:00 a.m. Thursday July 26, 2018 at Holy Family Catholic Church with Rev Jeffrey Laible officiating. Burial at Zion Cemetery will follow the funeral service. Memorials may be made in Epifania’s name to Holy Family Catholic Church or Logan County Food Pantry. Services are entrusted to Fricke-Calvert-Schrader Funeral Home in Lincoln, IL.